🔥 Hot Market Snapshot! 🔥 Your Home Globally marketed on over 120 International Websites! 178 Million Potential Buyers! Tap below ⏬ for details! 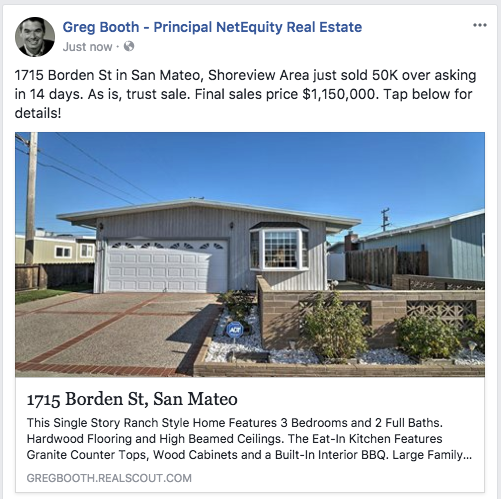 1808 Evergreen Street in San Mateo sold at $1,298,000 - that's [ $260,000 over asking ] 🤷 - after only 10 days on market. Tap for more details on this South Shoreview home! 1715 Borden St in San Mateo, Shoreview Area just sold 50K over asking in 14 days. As is, trust sale. Final sales price $1,150,000. Tap below for details! OFF MARKET $142,000 Over Asking - Sold Price $1,840,000 that's $2,190 per sqft - Tap to learn more! 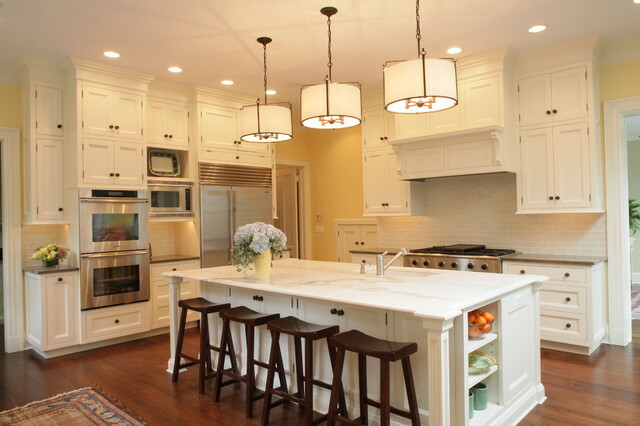 Among the top 20 U.S. metro areas, homeowners in San Francisco spend the most on kitchen remodels, averaging $70,000 for a major remodel of a large kitchen (200 square feet or more), compared with $42,000 nationally. SOLD TODAY - 509 Poinsettia Ave in San Mateo... $162,000 over asking... final sale price $1,760,000 - that's San Mateo Village ;) - Tap photo for more info! 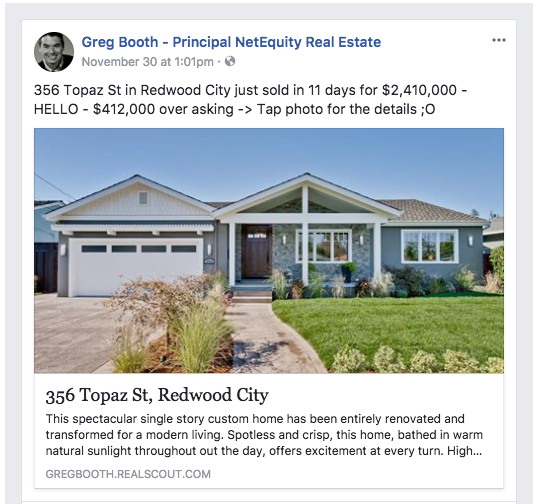 Total Fixer at 227 Finger Ave in Redwood City sells for $1,375,000 - that is a WHOPPING $425,000 over the list price of $949,000. Tap Photo for more info on this 2 bedroom 1 bath sale. 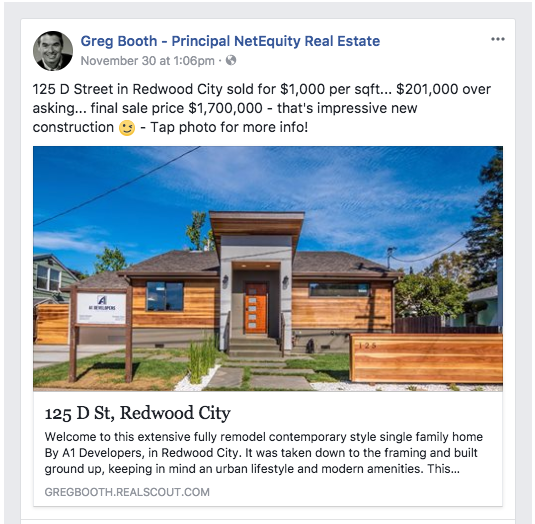 125 D Street in Redwood City sold for $1,000 per sqft... $201,000 over asking... final sale price $1,700,000 - that's impressive new construction ;) - Tap photo for more info!